All DEER CREEK homes currently listed for sale in Cibolo as of 04/25/2019 are shown below. You can change the search criteria at any time by pressing the 'Change Search' button below. "Open Floor Plan, High Ceilings. Kitchen with island and New Appliances, Living Room with Fireplace and Plenty of Windows, Master Bedroom with Walk-in Closet and Cozy Window Seat. Large Deck for entertaining. Recently Painted, New Blinds, New Roof, HVAC 2 Years Old. ****Open House Thursday 4/4 4-7pm." 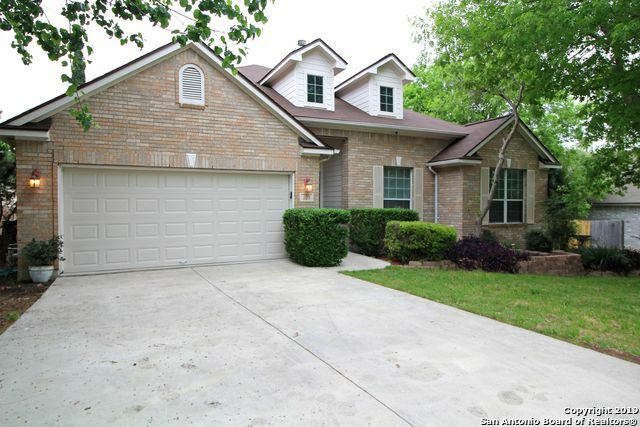 "This Cibolo two-story offers a patio, a fireplace, and a two-car garage. Upgraded features include fresh interior and exterior paint, and new carpet. Home comes with a 30-day buyback guarantee. Terms and conditions apply."